Northern NSW’s Primary Industry Field Days have kicked off today, and TTi is excited to be a part of it this year! The three day event (Thursday 23 June – Saturday 25 June) hosts over 400 exhibitors from a range of backgrounds – agricultural, livestock, and lifestyle products and services, and attracts over 40,000 people through the gates each year. 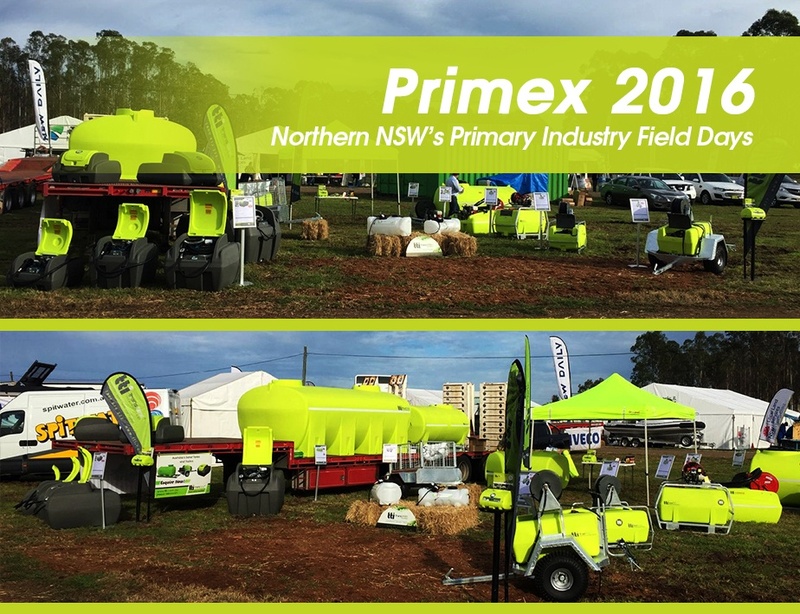 Primex is the largest commercial exhibition in Northern NSW, and is centrally situated to major business districts in the area, making it easily accessible for visitors from NSW and Queensland. Operating for over 30 years, Primex is a must attend event! Drop into site C08 and see Dale and Andrew! We have a great range of TTi products for you to see – from diesel transfer units and spraying equipment, right through to our 13,000L water cartage tank!